Sky Digital: A new channel has started in DVB-S Clear: Eman Channel (United Kingdom) on 11582.25MHz, pol.H SR:22000 FEC:5/6 SID:52140 PID:2365/2366 English. Sky Digital: New PID for Eman Channel: PID:2365/2366 English SID:52140 (11265.00MHz, pol.H SR:27500 FEC:2/3 - Clear). Sky Digital: New SID for Eman Channel on 11265.00MHz, pol.H FEC:2/3 SR:27500: SID:52140 ( PID:2324/2325 English - Clear). 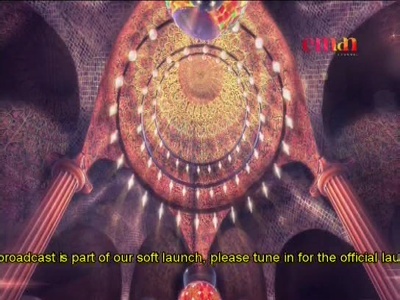 Sky Digital: A new channel has started in DVB-S Clear: Eman Channel (United Kingdom) on 11265.00MHz, pol.H SR:27500 FEC:2/3 SID:52110 PID:2324/2325 English.